The social centre of the island will be the ‘Village’, a collection of rustic driftwood styled retail and dining outlets offering art and craft workshops, bespoke ice cream and refreshments, as well as island-inspired fashions. The island’s large size and natural untouched terrain also offer family-oriented activities including adventure and biking trails, a kids’ camp site, a pitch and putt golf course and various natural and environmental features to appeal to travellers of all ages. Other facilities include OZO’s signature EAT all-day-dining restaurant best known for energizing breakfasts, a specialty ‘sunset experience’ restaurant, a rustic and informal ‘Victory Bar’ and floating lagoon pavilions and jungle tree-decks for private dinners. There will also be an island farm run by Maldivian islanders, offering guests natural and fresh organic produce in a unique market garden dining experience. The resort will also feature Maai Spa, a signature Thai wellness concept, a gym and yoga facility, dive centre and a large landscaped lagoon swimming pool. 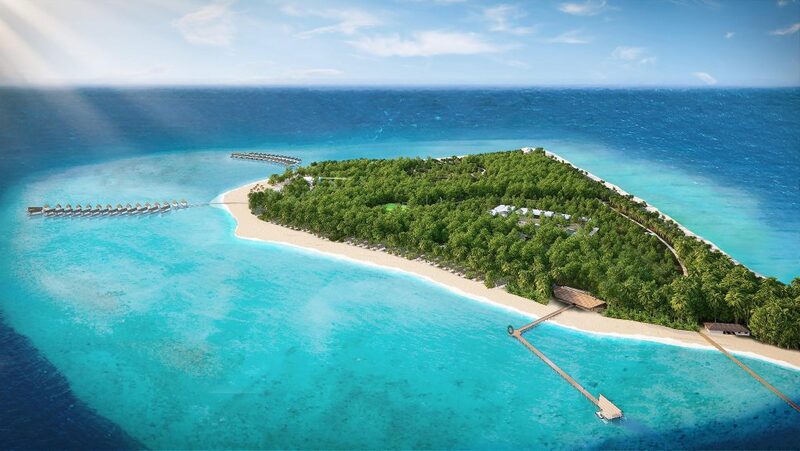 Of the 200 villas at OZO Maldives, 60 villas will be located overwater while 140 villas will be located on the beach, with 50 beach villas offering larger family-friendly layouts and private plunge pools. Many of the villas will also be either interconnecting or configured with dual key access, to offer flexibility for families and groups of friends travelling together. OZO is a smart, simple and savvy midscale hotel brand offering an enhanced sleep experience and seamless connectivity for travellers who are keen to embark on a deeper exploration of the destination. Since the opening of the first OZO in Hong Kong, the brand has generated consistently positive feedback and continues to exceed midscale accommodation expectations. OZO is currently available in Hong Kong, Koh Samui, Colombo and Kandy, with new hotels being developed in Pattaya, Phuket, Johor Bahru, Penang and the Maldives. Within the Indian Ocean region, ONYX Hospitality Group operates four hotels in Sri Lanka and the Maldives, with two hotels in the development pipeline. This entry was posted in Business, Hospitality, Hotels, Resorts, Travel, Travelers and tagged Douglas Martell, ONYX Hospitality Group, OZO Maldives, Ranjit Batra. Bookmark the permalink.